New Game of Thrones Season 8 Teaser Trailer Hints at the Fall of Winterfell | Nerd Much? With under two weeks to go until the show’s final season begins, HBO has launched a new Game of Thrones Season 8 teaser trailer. And while it appears to completely consist of footage that likely isn’t actually part of the show, it still leaves a deep sense of foreboding. Making us quite worried for all of our favorite characters set to be within the walls of Winterfell when the White Walkers arrive. The new Game of Thrones Season 8 teaser trailer begins with a close up of the Direwolf banners of House Stark. As the camera pulls back, we see the yard of Winterfell completely barren of any life. It appears as though something has transpired here though, as the area is littered with debris strewn about everything. There are numerous identifiable props laying about Winterfell in the new Season 8 teaser trailer. At one point you can clearly see the Hand of the King pin that Tyrion once wore. Perhaps referring to the Imp under Daenerys’ reign. Another moment later in the footage reveals Jaime Lannister’s golden hand just lying abandoned within the northern snow. 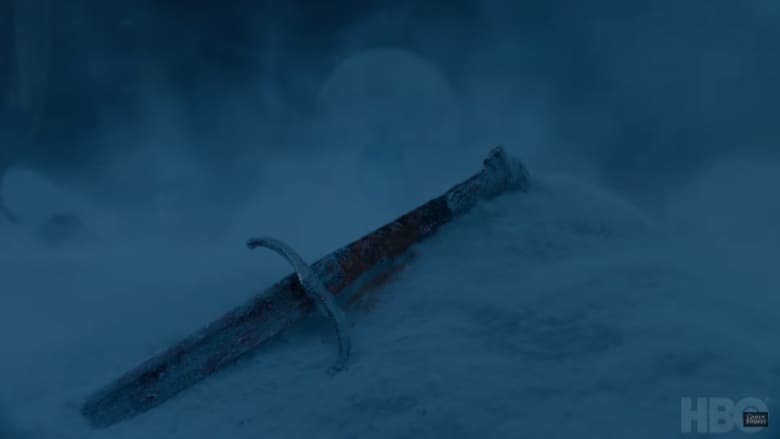 The culmination of the Game of Thrones teaser trailer sees Jon Snow’s Valyrian steel sword, Longclaw, also lying forgotten in the brutal cold. As our view recedes, we see a sole entity marching diligently through the Winterfell gates. Although we never fully make the character out, it’s clear who it’s intended to be. The Night King has arrived. With just 12 days to go before the premiere, this new Game of Thrones Season 8 teaser trailer is likely the last bit of footage we’ll get to whet our appetites until the show properly returns. But there are certainly other ways to remain festive while passing the time, and with only six episodes coming in the final season, it’ll all be over before you know it.